Wood Fence Installation Company Newmarket, Bradford, Aurora, Etobicoke, Mississauga and Oakville. We are a wood fence installation company serving Bradford, Newmarket, Aurora, Etobicoke, Mississauga and Oakville. Wood fences offer an affordable privacy solution. We use pressure treated lumber which means your fence will be long lasting and durable. Depending on your preferences wood fences can be installed using various woods such as Pressure Treated, Red Cedar or White Cedar. Wood fences can be creative, attractive and versatile. At Stone Landscaping and Construction we have many years of experience installing wood fences. 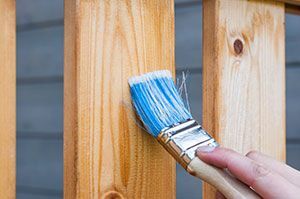 Why Choose Us To Install Your Wood Fence? We can help you design your wood fence, help you get the required surveys and permits if required. Get in touch with us today and we will give you a free quote. Our rates are very competitive and our work is top notch.